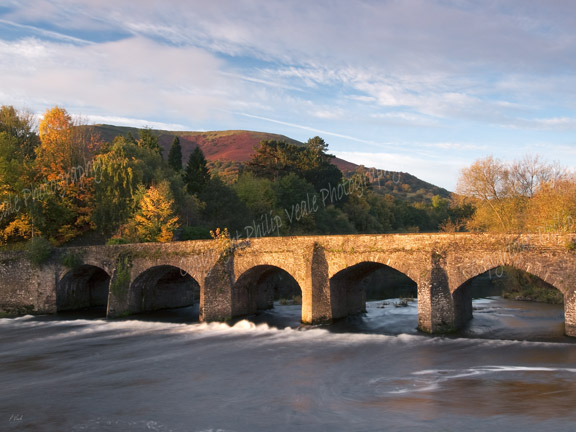 Philip Veale Photography: Usk Bridge and Blorenge, Abergavenny. Usk Bridge and Blorenge, Abergavenny. The early light of autumn on the bridge over the River Usk at Abergavenny.